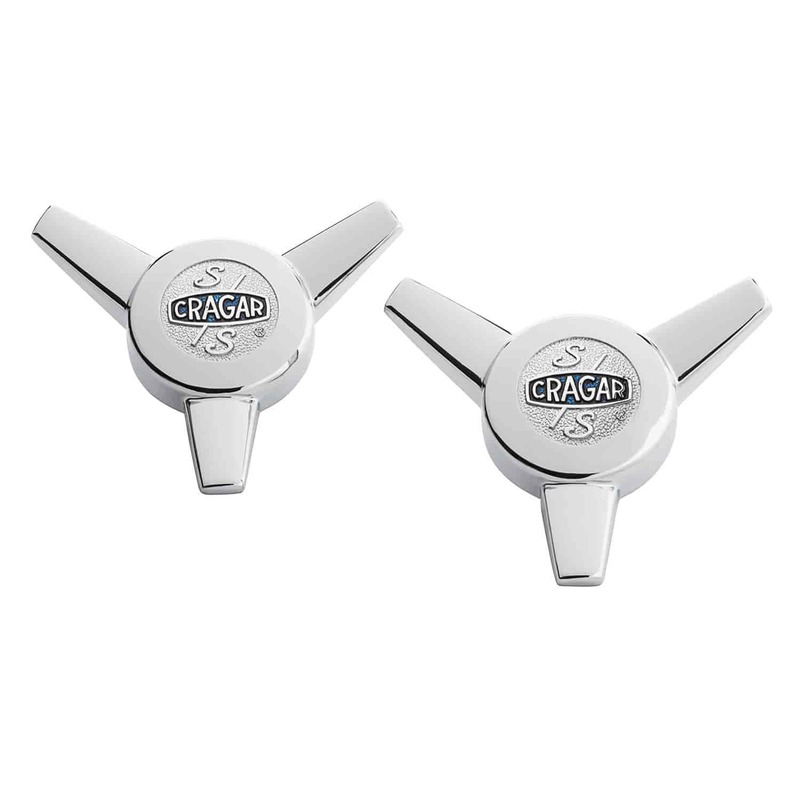 Cragar S/S Logo Spinner Center Caps for Super Sport Wheels: 5 x 4-1/2", 4-3/4", 5"
For Super Sport Wheels: 5 x 4-1/2", 4-3/4", 5"
09095-2 is rated 4.8 out of 5 by 9. Rated 5 out of 5 by Chuck F from Spinners I got these as a replacement for the ones on my 67 Buick Skylark, the ones on it were the pits. These are great and look good. Rated 5 out of 5 by gml nc from fits great looks good on our car -- 2 day shipment is great. Great service. Rated 5 out of 5 by Arnie from Wheel spinners They look good and matched the two that were already on the car. Rated 4 out of 5 by Mister ed from Look good...screw was too short I had to find a longer screw. The one supplied was not long enough to screw into the backing plate. Rated 4 out of 5 by TOM WOJ from Just as listed! Everything was just as ordered, could have used instuctions, but found that on the internet. Neatly packaged! Yes, these will fit the Cragar SS wheels. will these caps fit all of the cragar ss wheels. ?